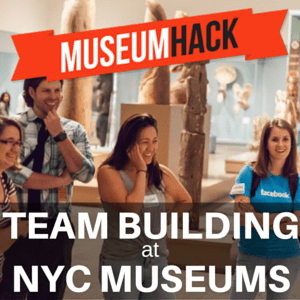 New Yorkers are very familiar with corporate “teambuilding” seminars, usually mandatory events that force everyone into a room to discuss useless hypotheticals while eating Danish, drinking enormous amounts of coffee, and watching a series of out-of-date video presentations. TeamBonding is breaking that mold by focusing on creating teambuilding events that are fun and engaging. The end result is the building of productive, collaborative relationships which will last far past the end of the seminar. The premise is simple. The administration at TeamBonding has designed their programs, activities, and icebreakers around our own individual learning processes from when we were very young children. In our early formative years, we learn better and faster through the simple actions of playtime. Why should this change simple because we are now part of Corporate America? As a result, the activities that attendees will participate in are very expressive and innovative, activities like a “Pub Crawl/Foodies Scaventure” or a corporate spin on the game show, “The Family Feud”. And once the TeamBonding administration gets to know your company and its main training objectives, they will carefully select the perfect leadership team to fit the individual group requirements. This is not your run-of-the-mill training seminar.